The first impression is (be one that really counts. It's appearance and elegar.cc wii! ¡rispie coi'.t'óc'ice boi:: ibo cracxcc tear and their patients, ensuring 3 perfectly balanced Voyager H is a product for the 21st century sou-r-o new standards of elegance and quality. 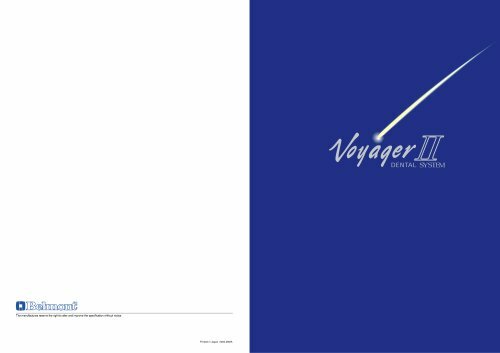 VoyagerE has been created with vision for the future incorporating a perfect balance between advanced ergonomics Soft-touch seamless upholstery and new technology material have been incorporated in the manufacturing of Voyager E ensuring a long lasting durable and hygienic dental system. Never beiore has a dental system been so flexible.